Step into summer in style this season in the Cha Cha Cha Top in BLACK SPOT/grey and the Tropicana Skirt in TULIPS. This fun outfit will keep you cool whilst looking hot to trot! 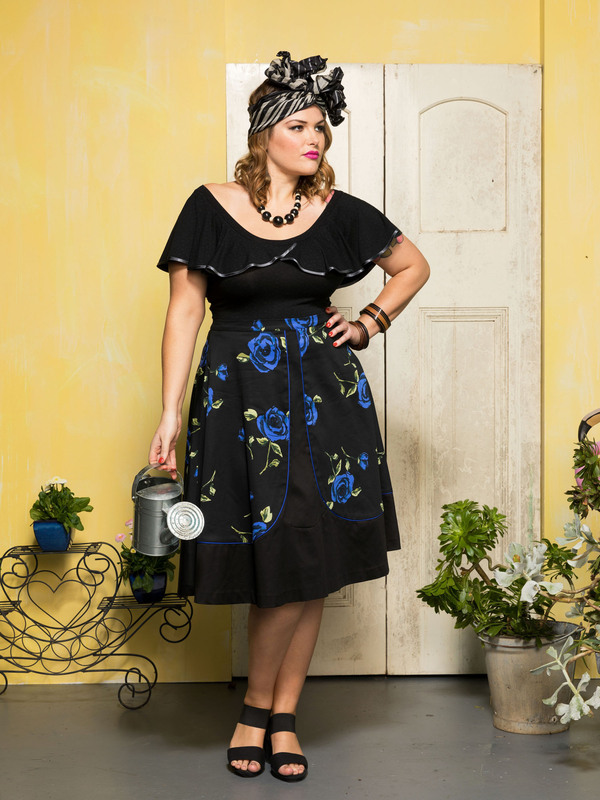 The Tropicana Skirt is made from a cotton/spandex with fullness in the skirt whilst tapering in at the waistline. This style of skirt is just perfect for the hourglass and cello/pear silhouettes.